From April 2019 it has been announced the Apprenticeship Levy transfers from levy-paying employers to transfer 10% of funds will increase to 25% to smaller organisations. You may have seen our ‘Using the Apprenticeship Service’ article (click here) where we announced the changes that have been made to the apprenticeship levy. 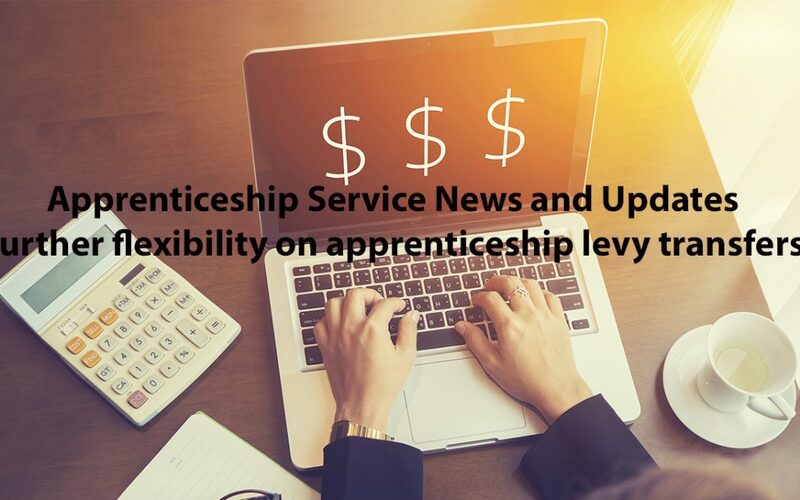 The new changes allow levy-paying employers the ability to transfer up to 10% of the annual value of funds that enter their digital apprenticeship account to another employer. As of July 2018, employers have been given the green light to transfer up to 10% of levy funds to multiple businesses, in fact these funds can now be split with as many other employers as required. Providing further flexibility for levy paying organisations. Apprenticeships and Skills Minister Anne Milton announced the news on the 26th June, at an event celebrating apprenticeships. Anne highlighted the significant contribution that apprenticeships are making to businesses and the broader economy. The Apprenticeship Levy allows employers a real opportunity to invest in high-quality training, helping to grow and sustain their business and develop a highly skilled workforce. The move will lead to the creation of many quality Apprenticeships and will help support employers who may not have taken on Apprentices otherwise. A new feature has been released on the Apprenticeships Service, employers are able to see a projection of their account funds over the next four years. UPDATE: Apprenticeship Service – Will open up its portal to small employers in 2020. Reported on FE Weekly this monthly, to “ensure a more gradual transition,” the government will not open up its Apprenticeship service to small employers to use in April 2019 as planned. The EFSA will work closely with employers and training providers to plan what the gradual transition should look like over the summer. Want to find out more about the Apprenticeship Service Updates?